Technical, alpine and river rescue indicates all the operations carried out to bring help to the victims of accidents or illnesses in inaccessible places, where normal rescue cannot arrive, and is part of the search and rescue activities (SAR) conducted by personnel trained for this purpose who can use specific naval, air or ground vehicles in hostile environments. assistance in case of natural disasters. In difficult places the human organism is exposed to a series of risks different from those present in the urban environment. In many cases these risks result in accidents that put the victim in the impossibility of getting to safety without the aid of specialized vehicles and rescuers. 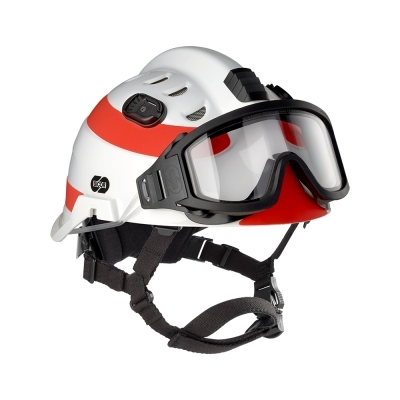 These cases constitute the area of intervention for technical, alpine and river rescue. Rescuers have a specific equipment and use semi-static and dynamic textile ropes, blockers, descenders, pulleys, neoprene suits, vests and helmets. Sicor has created a product specifically certified according to the standards EN 16473, EN 12492 and EN 1385 to ensure greater safety of rescuers and people rescued.